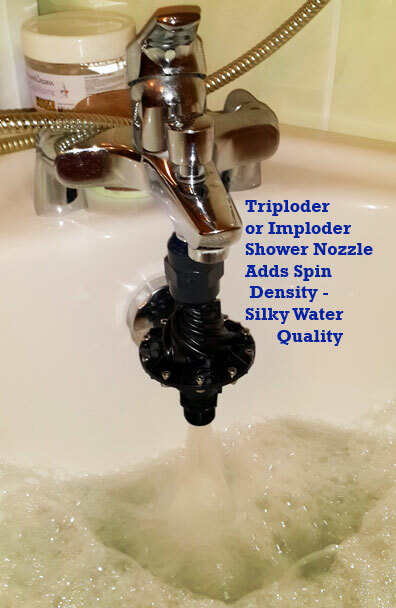 Imploder Nozzle In the Bath= Spin Density / Silky Water Thanks to Sergei in Russia.. see the Triploder ( or Imploder Shower ) Nozzle Example Install in the Bath.. Precise Vorticity Efficiently Adds Spin Density / Solubility / Silky Water.. Perfect Vortex= Equals Perfect Spin Mixing..